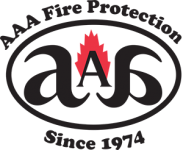 Sacramento’s fire protection and fire suppression needs start with AAA Fire Protection Services. Established in 1974, we pride ourselves on having the most dependable and professional grease exhaust cleaning service and filter exchange services in the Sacramento, CA vicinity. In addition to grease filter cleaning work, we meet the needs for fire protection and fire suppression for commercial kitchens, restaurants and industrial customers with the finest brands of portable fire extinguishers and cabinets and customized industrial fire systems. Our technicians are expert in the design, install and service fire sprinkler systems. Our Sacramento customers know that AAA Fire Protection Services. We truly care about your safety. We go back to servicing Sacramento since the mid-1970s. AAA Fire Protection Services has provided fire protection for thousands of food and industrial clients with numerous endorsements and customer testimonial. We never forget our obligation to you!